Anyone entering our fishing spinner drawings has probably noticed a lot of participation from New Mexico anglers. First, I'd like to thank all FishEnchantment.com anglers for their interest and support for Fish Creek Spinners, then let other readers find out more information about this great fishing forum. 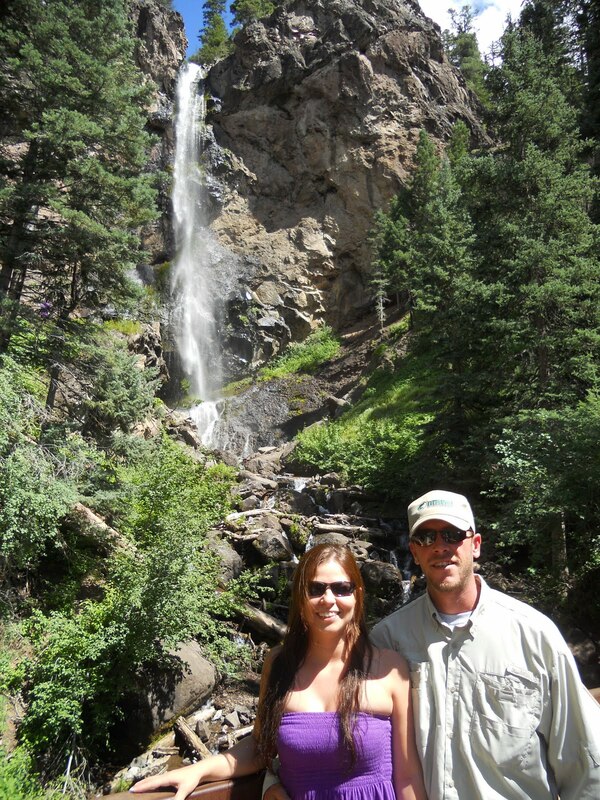 Matt and Leah own, run and administer New Mexico's FishEnchantment website and fishing forum. One thing about a blog is that you can quickly get tired of writing about yourself or your company for that matter. About eight years ago, I got this call from a guy in New Mexico interested in learning about Fish Creek Spinners. I went into sell mode, but he was a step ahead of me from the moment I answered the phone. He told me about his fishing forum, I told him about my spinners. He told me about the Rio Grande and Chama. I told him about Armadillo's and Spotted Bonefish. He told me about New Mexico. I told him about Colorado. Matt was looking for tackle companies to support and sponser his fishing forum, I was looking for new ways to get our products into angler hands. Before you knew it, a relationship was established. So Matt and Leah, I don't think I even have the same computer that I signed on to FE.com with back in the day! How about you two? When did you start it up? I've gone through a couple computers since then also, the initial website was built sometime in the middle of 2004. Since then we've grown considerably and have changed the host & design of the site two or three times. The original website was built in MS Publisher and posted online via ftp. It wasn't easy but at the time it was the only way we could get the information online. What was the inspiration that started this journey? At the time I was a very inexperienced, uneducated angler and I knew there had to be other anglers in our state that wanted to learn more about fishing in general, as well as, what NM has to offer fishermen abroad. At the time NM didn't have any active fishing forums so I knew it would be a hit! 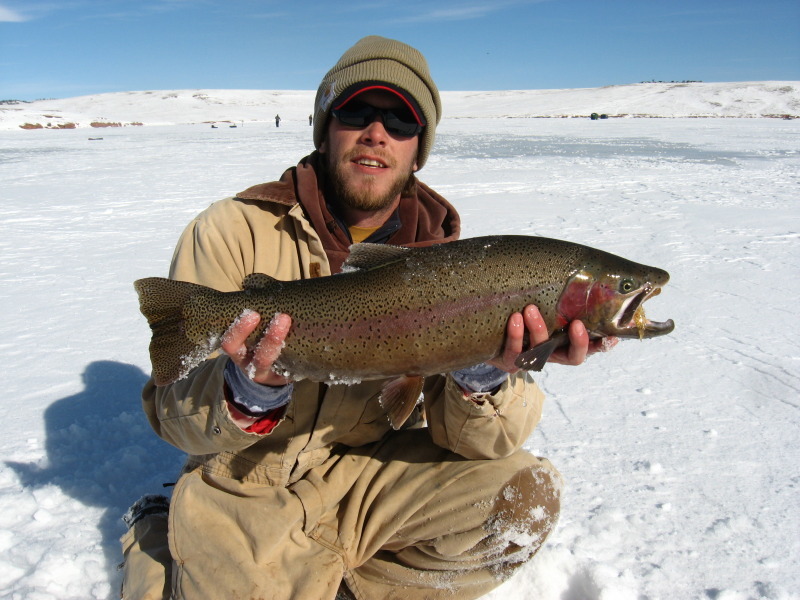 To this day FE is still the only active multi-species fishing forum in our great state. To those of us not from New Mexico, FishEnchantment is an unusual name. Where did you come up with the name for the forum? 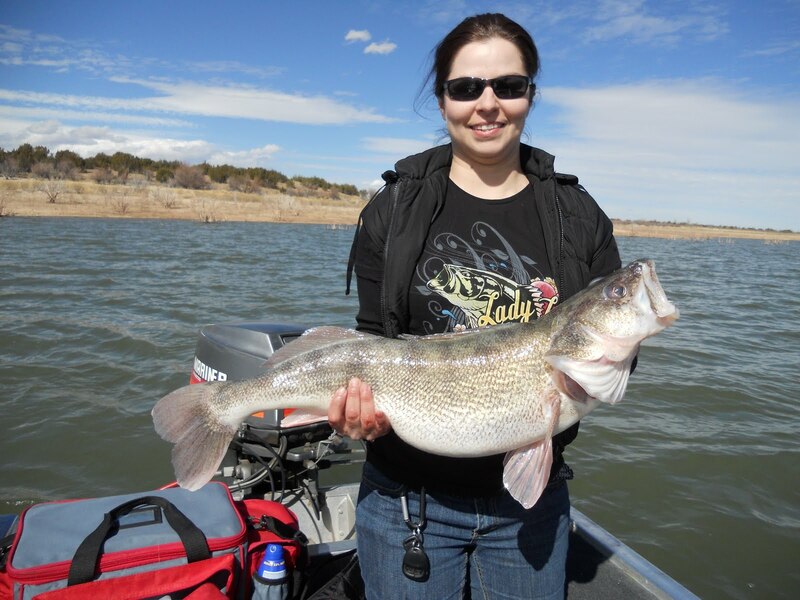 The idea for the name Fish Enchantment is quiet simple actually; New Mexico is known as "The Land of Enchantment", therefore "Fish Enchantment" was a catchy name & represented what the site was all about, "NM's online angling community". Although I got the call from you Matt, I was quickly getting email from Leah during the admin signup. How do you two divide up roles? Leah handles the majority of technical and webmaster stuff. I am lucky, I get to do all the fun stuff! Over the years as the site has grown there became a need for more help. We now have several long time Members that help and operate as Moderators & Administrators. I couldn't do it without them and am very appreciative of all of their help over the years. Lately, I've been seeing and hearing references to some of the fish Leah's been landing. Who's the better angler? I'm better let her answer this one... Leah now speaking-Obviously, I am! Just Kidding, Matt really is an amazing angler and he fishes far more often then I do, I just happen to be a good angler too and have loved to fish ever since I was a kid. My dad & brother used to take me out fishing all the time when I was younger. I've made a lot of fishing spinners, many tens of thousands. The ones I made for you two as wedding novelties for your wedding, will never be forgotten. Talk about a fishing union, a quorum on the forum! Yeah our fishing spinners were a hit! It's great to enjoy fishing with each other and we thought what would be more unique then our own personalized spinners. 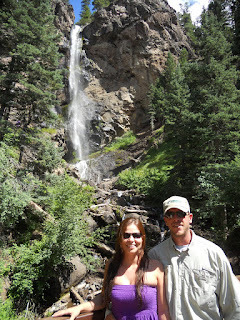 After all we did buy a boat and go on a fishing trip in Colorado for our honeymoon! I'll bet running the forum has it's moments and there've been obstacles and hurdles to overcome along the way. What makes you keep doing it? My passion for fishing certainly drives me but even more its the people I meet and the friendships I've build over the years that is the biggest "payoff". In the past 5 years I've had the opportunity to fish with dozens of different anglers of all walks of life...I've learned alot on these fishing trips and look forward to many more. What's next? Any new forums like shooting or hunting planned for FE? No hunting forums that's for sure, not that I have anything against hunting but I spend enough money on fishing as it is! I've been strongly considering starting a guide service for tiger muskies. Maybe one day a small tackle shop, who knows. I hope I am lucky enough to make a simple living in an industry representing what I love most....fishing. As for the forum. I'd like to start recording videos while we're out fishing and grow our Fish Enchantment You Tube page. I've also been considering publishing a seasonal magazine for NM Fishing bums like myself to enjoy. Well, that's about all I got, lol. Thanks a lot for the interview and sharing info about Fish Enchantment! Anybody reading this be sure to stop by the FishEnchantment.com website and sign up! Discount Fishing - Denver, CO.